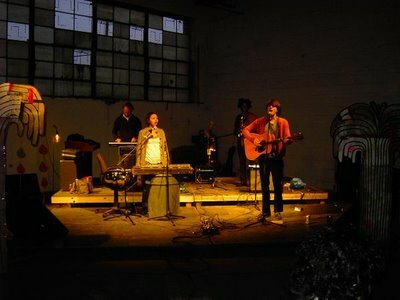 Forest Fire is Mark Thresher, Myisha Battle, Adam Spittler, and Jeremiah Stewart and they reside in Brooklyn, New York. A Neil Young twang from a bootleg sound circa 69' was my first impression with the vocals, but with slow, minimal, in the box sound that sparked my interest. I came across the band through my contact with the above post of Black Dragon and thought I would pass it along. Of the four tracks to sample on myspace, How High has definitely jumped out as a stand out and most certainly will be included on an upcoming mixtape. Speaking of mixtape did you get the one here yet, check back regularly, especially as Christmas time draws Nye. Below are two tracks from Forest Fire for you to enjoy.